The Investment Market is a game of inches. Data is at the forefront of investment decisions. CrowdThnk aggregates and quantifies unstructured positioning data in a unique way to deliver actionable and reliable measurements of market positioning on individual stocks. This once-abstract factor weighs significantly not only on the direction of the price but also in the magnitude of price moves. Whether you’re a systematic fund looking to find data-driven signals or a discretionary firm incorporating more factors into your approach, we’ll walk you through the various scenarios our data set can help you build your edge. 1. Stock Sell-offs can be exacerbated by overextended long positioning. Stock Crashes are typically started by an unexpected event but are often compounded by panicked investors selling out of stale, lazy and overextended long positions. 2. Momentum-type Stocks can continue to rally despite extended positioning. Certain momentum-type stocks can continue to record incremental price gains even if market consensus is already very overweight. This is a behavior that CrowdThnk identifies and generates probability-weighted estimates based on this knowledge. 3. Short Squeezes can often result when unexpected positive news impacts a consensus underweight stock. By knowing market positioning and identifying those potential opportunities ahead of time with CrowdThnk, investors can stay ahead of the curve and identify Short Squeeze opportunities. 4. Catalyst Events such as Earnings Releases can magnify price swings, especially if it occurs on the wrong side of Market Positioning. 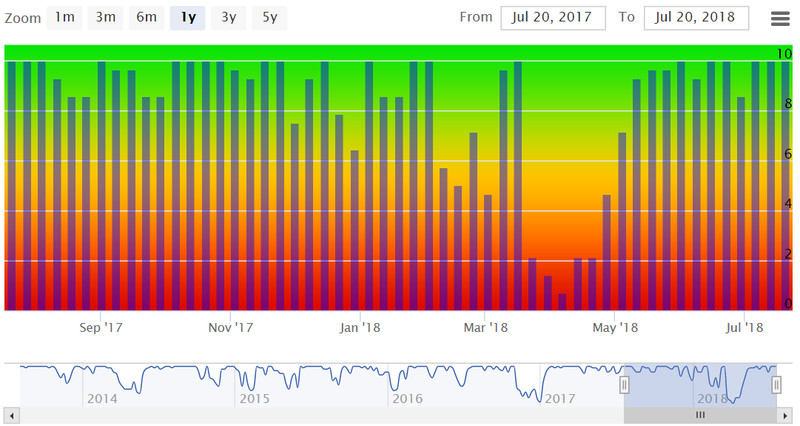 CrowdThnk Edge #2: Once you know the consensus market positioning of a stock, you can align your trading or portfolio accordingly to benefit from skewed market positioning CrowdThnk’s probability-weighted forecasts. Each stock is unique with respect to positioning scores. Every stock has unique characteristics and react differently at different points across the Positioning spectrum. No two stocks are alike, however, as some stocks tend to be more mean-reverting while others demonstrate momentum characteristics. Some stocks may have >50% probability of reversing at extremes greater than 8 or less than 2 in Positioning Score while others feature >50% probability of continuing momentum. While traditional investment wisdom states that one must be a contrarian and go against the crowd in order to typically profit in the markets, that is not always the case. Even if a stock’s consensus positioning is already Overweight, given that market capitalizations can expand incrementally, it is possible for the majority of investors to be long or overweight a stock AND everybody reap the benefits from the stocks’ appreciation in price. Fast and sudden moves in a stock price and occur without advance warning. Many times, this can be due to one-sided or skewed positioning metrics wherein even a fundamentally sound stock can experience a swift decline. With both stock drops and short squeezes, market positioning typically plays the X-Factor in determining the extent of the move. The old trading adage describes a particular type of market price move as “Up the escalator, Down the Elevator”. This refers to a situation in which a stock keeps climbing at a steady rate, garnering more investment inflows, before declining due to some unexpected news. While market positioning steadily climbs to an overweight positioning, the stock is vulnerable to a severe drop if everybody is heading for the exits. Facebook’s 20% plunge after a paltry earnings report in July 2018 was exacerbated by overextended long positioning. There are several ways that CrowdThnk’s services can improve your trading or investment process. Whether you’d simply like to know what the market is doing or if you’d like an objective, quantitative metric on positioning to assist your systematic, fundamental or intuition-based trading process, CrowdThnk provides you with actionable and intelligent market insights to take you trading to the next level. 1. Identify Mean Reversion versus Momentum-based Stocks. 2. Use probability-weighted forecasts as a value-added input to your trading decision. 3. Identify extremes in Market Positioning to avoid positioning squeezes and protect your portfolio. 4. Devise various systematic strategies using CrowdThnk’s Positioning Score data set. 5. Know how other market participants are positioned in your favorite stocks. 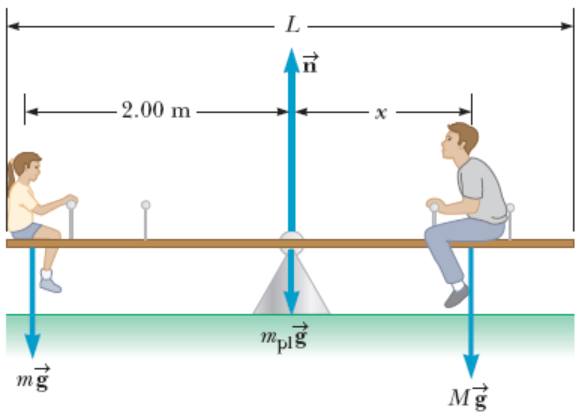 In terms of leverage, going against a crowded market is akin to sitting on the long side of the See-Saw. It doesn’t take a lot of weight (catalyst) to move the market a significant amount given the crowdedness of the stock. So Stop Guessing. Start Knowing. Build your Market Edge Today!